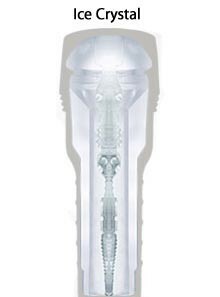 The famous Fleshlight comes in a clear "ice" color that allows you to see all the action as you slip in and out! Fleshlight masturbation sleeves have a soft, lifelike, removable inner sleeve. The sleeve is encased in a hard plastic case with a cap for easy and discreet storage. Made of a phthalate-free elastomer. Sleeve is open-ended for easy cleaning, and suction can be adjusted by twisting the base of the plastic case. 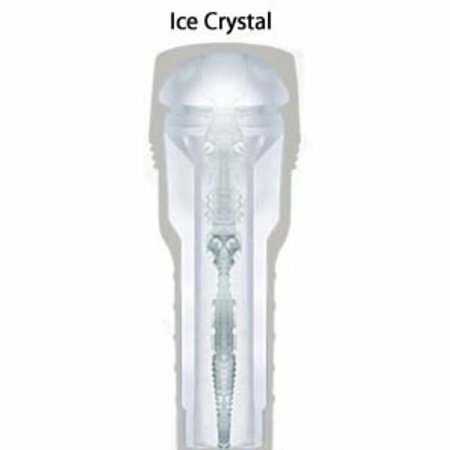 Inner sleeve pattern if the Fleshlight Ice Lady is the unique "Crystal" design.